The breath-taking Enova AR Tall Vanity has four rectangular-steel sides with two glass retail shelves and an upper soffit with light. The fully equipped styling vanity has bread-board, two drawers, and a tilt-out tool panel. 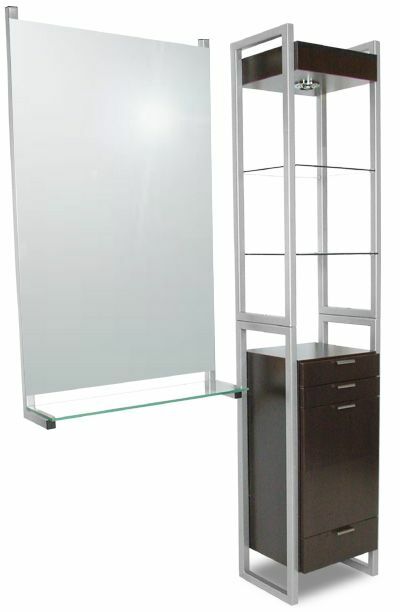 18"W x 15"D x 84"H. Pictured with 962-30 Enova AR Mirror assembly that is ordered separately.